CNC retrofit service, Good Iron and Bad control? Time for a Centroid CNC retrofit! 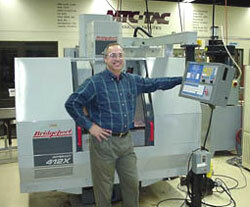 Why CNC Retrofit? Here are the advantages of retrofitting a good machine. Good Iron and Bad control? Time for a CENTROID CNC retrofit! Existing Machine size, use, quality and versatility not found on a new machine at any price. Machine parts not possible with old control. Reduce the time it takes to make most parts, In some cases we have reduced the time factor on like-parts from 24 hours to as little as 5 hours. Much easier programming, More programming features. PC based, easy to update, easy to add-on accessories. Software updateable, Never becomes outdated. 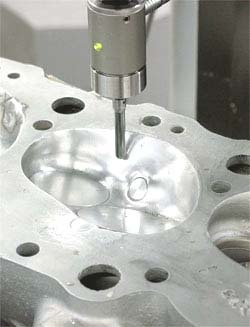 Use new CNC features not available with old control such as Digitizing, Engraving, 4th axis and Probing. Upgrade a 2 1/2 axis machine to a True 3 or 4 axis CNC. Centroid offers a complete solution, we make retrofitting economical and painless. Turn a classic NC mill back into a workhorse! Many old NC machines are made out of superior US cast iron and have excellent mechanics. 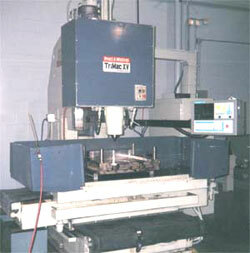 The old NC machines often used large US made ball screws and quality support bearings. These old machines are rigid and heavy duty. The problem is the old NC control! By now, the old electronics are troublesome and parts are hard to come by if not impossible. Adding to the problem is the fact that even when the old controls were new they were very limited in their capabilities and NOT very user friendly. Sometimes just finding a comparable new machine to your original is next to impossible. They just don't make'm like they used to. The rigidity and strength in some of these old machines is just unmatched. Retrofitting gives a classic machine a new lease on life. 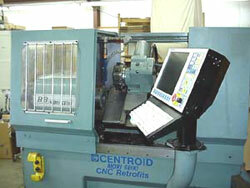 With a Centroid CNC retrofit you can machine parts not possible with the old control. 3D parts, part programs generated from CAD/CAM, or Digitized parts can be run with no hassle at all. In addition to the built in conversational any CAD/CAM system can be used to program the Centroid and since the new control is PC based, file transfer from a desktop PC is very easy. Adding part serial numbers or even logos to your parts has been greatly simplified. With the Centroid retrofit, you can easily Engrave letters, numbers and symbols. The Engraving option allows you to engrave with 20 different fonts. Fast and easy engraving right at the control.